The lobby itself is now in a state of decay, as is the rest of the once-glorious place, with no hope, perhaps, of ever being restored to its former grandeur. Historic artifacts still decorate its hallways and walls, though many have been badly damaged from mortars fired from opposition held territory just down the street, RT’s Lizzie Phelan reports. The Baron’s famous owner, Armen Mazloumian, passed away a little over two months ago, unable to cope with what has been happening around him for the last 5 years. His wife, Rubina Tashjian, is now left to watch over the decaying walls, which hold so many memories. There are other surviving successors to the owner of the hotel but they are not in Aleppo. The iconic hotel opened its doors in 1911, and it was from its main balcony that King Faisal declared Syria’s independence in 1918. “The history of Syria was written in here,” Rubina says. 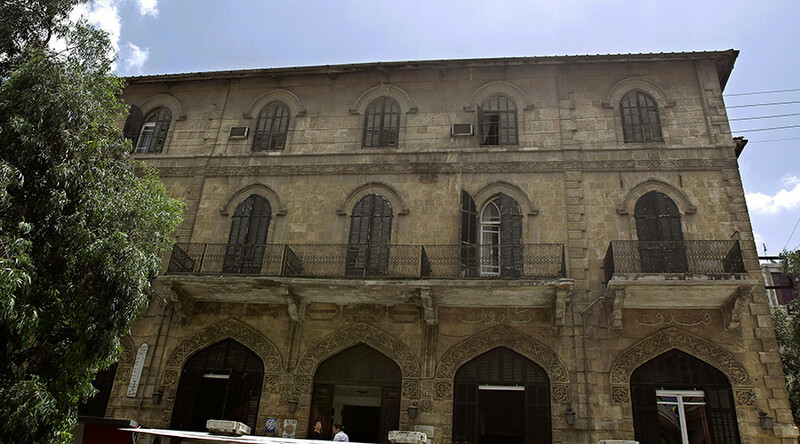 The hotel, situated right in the center of Aleppo next to the National Museum, used to be one of Aleppo’s tourist hotspots and Syria’s commercial hub, with a star-studded guest list. Agatha Christie wrote part of her Murder on the Orient Express on its porch, and Lawrence of Arabia and Charles de Gaulle were among its prominent guests. — Lizzie Phelan (@LizziePhelan) 5 марта 2016 г. It hasn’t had even one paying guest in the last 5 years, however. “Day and night he [Mr. Mazloumian] would sit here on the terrace, cold, hot, summer, winter. He would sit here and say, ‘This door will be open.’ Two years ago and these people started coming, and they didn’t have a place to go to, and Armen said, ‘OK, you’re welcome, get some rooms,’” Rubina said, explaining how war-fleeing refugees had become the Baron’s latest tenants at her husband’s invitation. Although a ceasefire has, more or less, taken hold in much of the country, Aleppo remains one of the places fighting still rages, putting the future of this historic edifice under threat, with no one but Rubina to keep the Baron and its history alive.